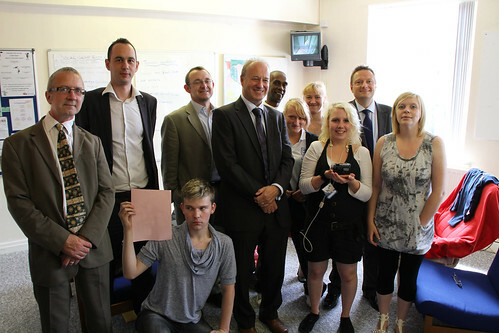 Last week, Jason presented a HD camcorder to the V6 Vision Project in Huddersfield alongside BT. He won the camera in a BT prize draw for MPs and was able to nominate a local charity to receive the equipment. The V6 Vision Project helps young people who aren’t in training, education or work and will be used for video diaries.